Our 4 star hotel is located 10 minutes’ walk from the hyper center of the pink city and has its own parking lot. The hotel takes its name from the Canal de Brienne which runs 100 meters from the hotel. This location guarantees you calm and serenity and allows you to discover Toulouse and its surroundings. 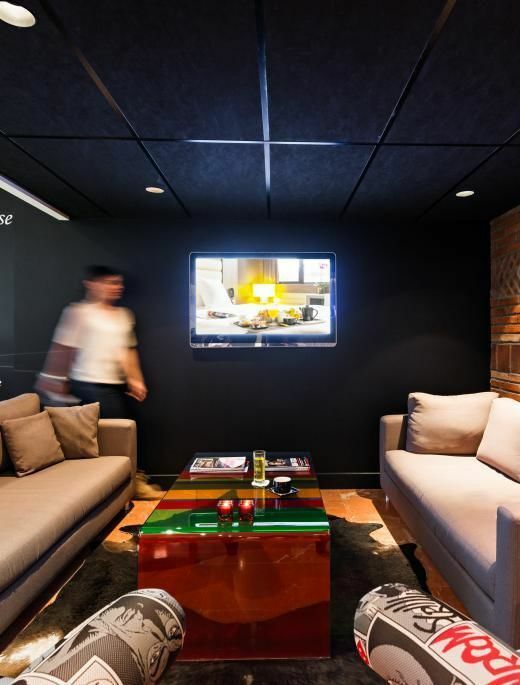 Entirely renovated, the Hotel de Brienne proposes you rooms with a design atmosphere, a trendy and colorful atmosphere that you will find throughout the hotel, from the patio to the reception through the bar and the meeting rooms. 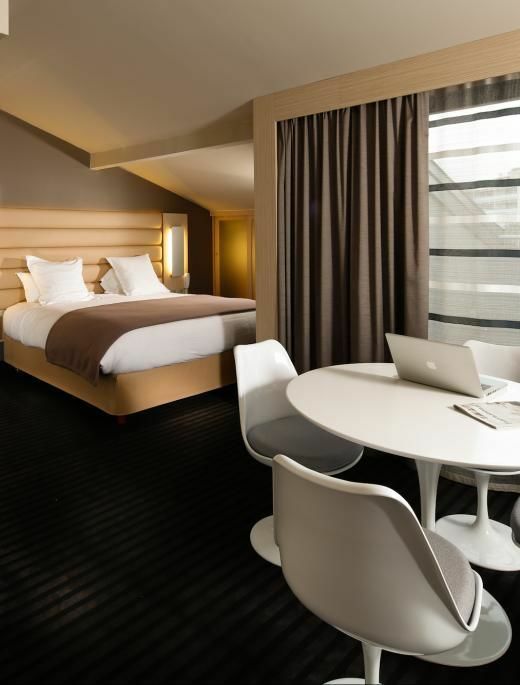 Whether for a tourist or professional stay in Toulouse, the Hotel de Brienne is the ideal stopover, a harmonious blend of comfort and modernity. The hotel is sensitive to environmental issues and use of energy resources. Thus, it uses a water control system and practices selective sorting. It also support local products for its breakfast service..
Our buffet breakfast is generous and delicious, with a wide array of tempting savoury and sweet dishes to start the day. You can take breakfast in our elegant restaurant with its Art Deco murals and marble floor, or have it brought to your room. 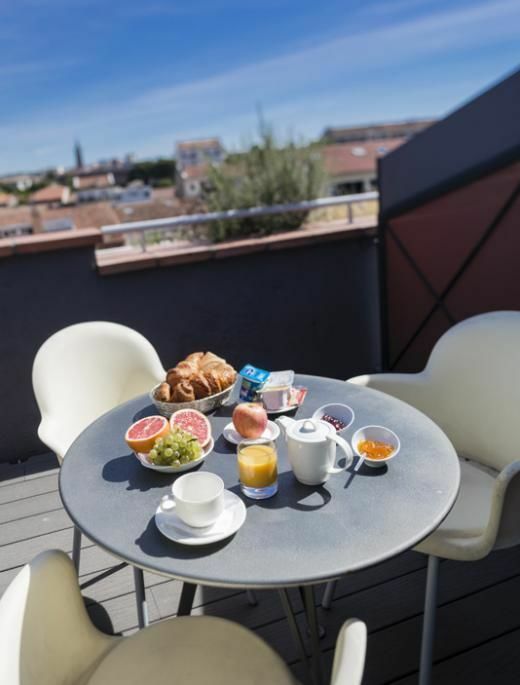 Start visiting Toulouse as soon as you take our breakfeast ! At the buffet, you can taste one of the most delicate local specialities. Honey, jam, tea... made from the Violet of Toulouse cooked by "Le Jardin d'Elen", worshop located nearby on the canal, devoted to preserve the knowledge of the City of Violets. Then, what would be a French breakfeast without coffee ? Whatever breakfeast coffee formula you take, you will savour coffee roasted locally on Place Victor Hugo since 1896 by the famous Bacquié Family. Located five minutes away from the centre of Toulouse, 200 metres away from the Canal de Brienne and far from the city's hustle and bustle, its tranquil location in the centre of Toulouse, surrounded by restaurants and gardens (the Japanese Garden amongst others) makes it an ideal place to unwind. Make the most of this ideal positioning to discover the Capitole, the Basilica of St. Sernin and many other tourist attractions. 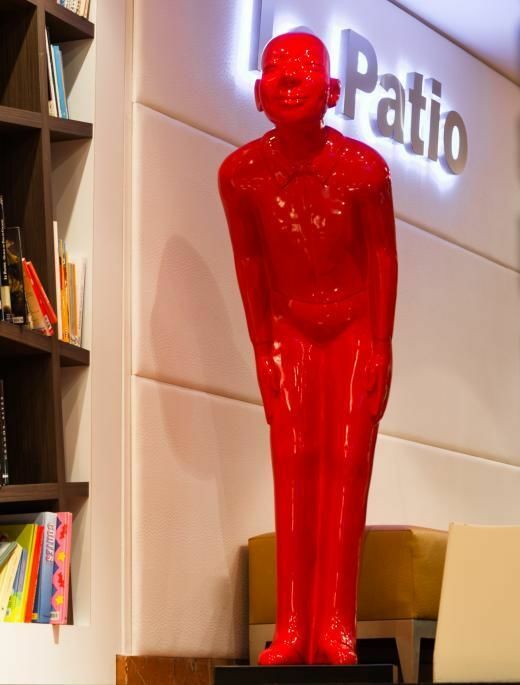 The design Bar "Le Patio" and its large outdoor terrace, quiet and protected. 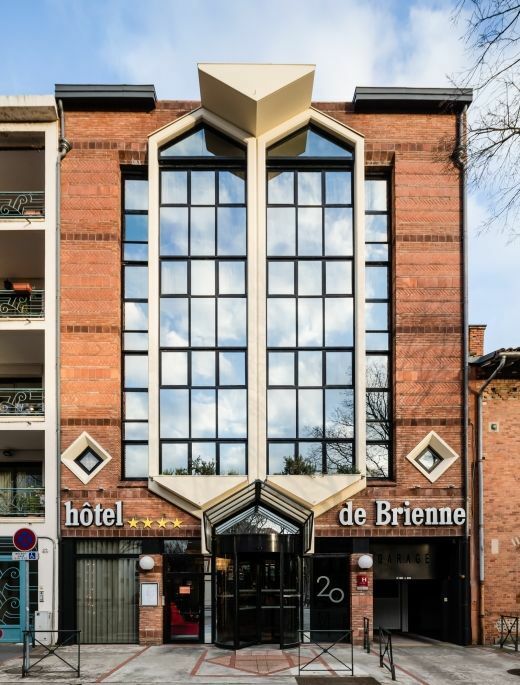 Whether for a tourist or professional stay in Toulouse, the Hotel de Brienne is the ideal stopover, a harmonious blend of comfort and modernity.